For someone who's trying to diet, I've eaten a lot of pudding this month. In fact I've attended 2 pudding clubs. 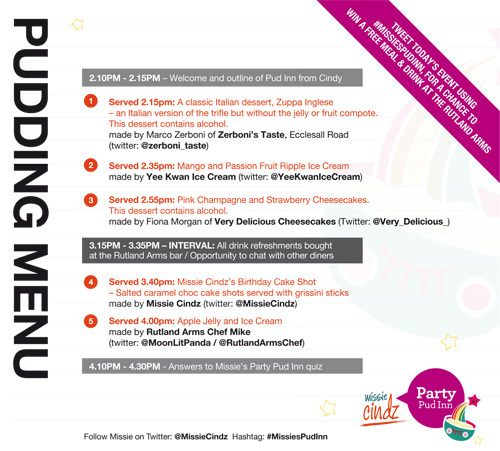 Last weekend I was invited by Cindy or Missie Cindz to join her for her Pud Inn. 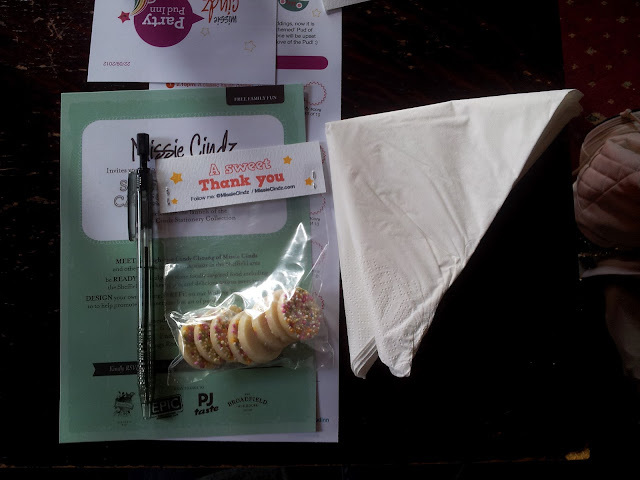 I arrived at the Rutland Arms to this cute little set up. 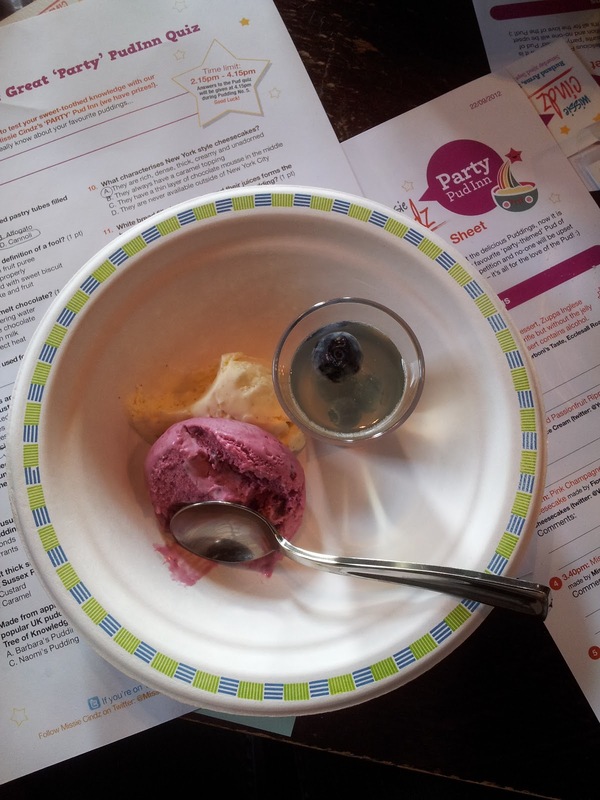 We had treats to take away, and score cards, and a pudding related quiz. First up was a Zuppa Inglase from Zerboni Taste - which was a combo of custard and cake and booze - something a little liquorish-y. 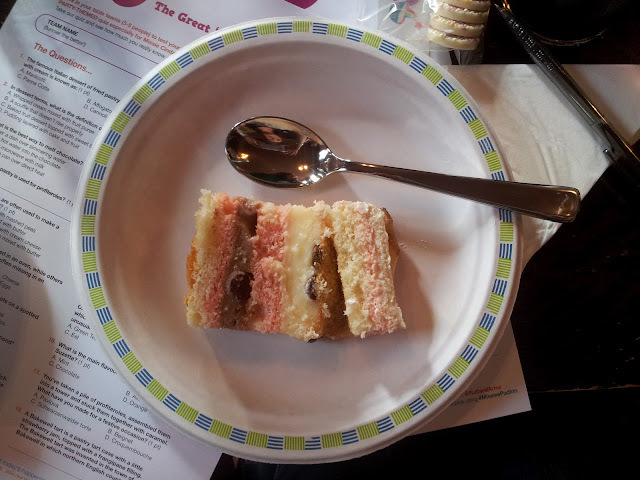 It was nice, the cake was super light, and the custard-y bits were yum! 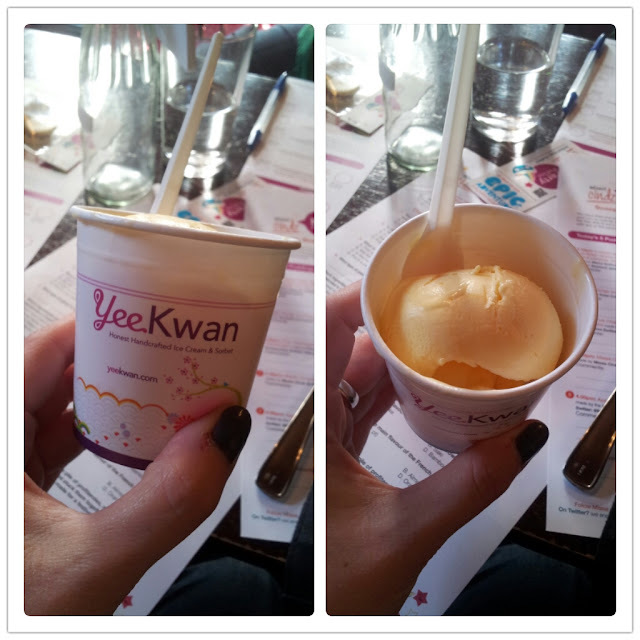 Next up was a Mango and Passionfruit icecream from the wonderful Yee Kwan. I'm a massive icecream fan so this was always going to be a winner with me. It was amazing. My only complaint - I wanted MORE! Our third course was a Champagne and Strawberry cheesecake from Very Delicious. 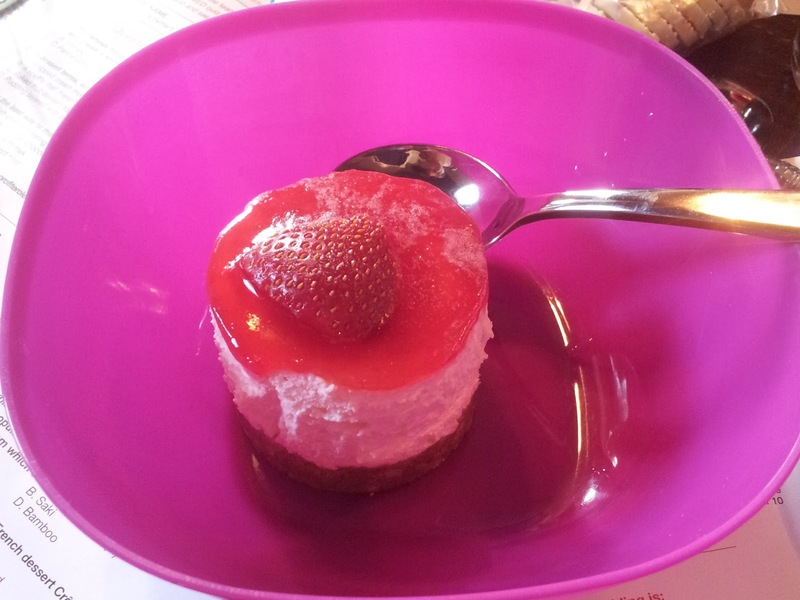 Again - cheesecakes are a big favourite of mine and this didn't disappoint. 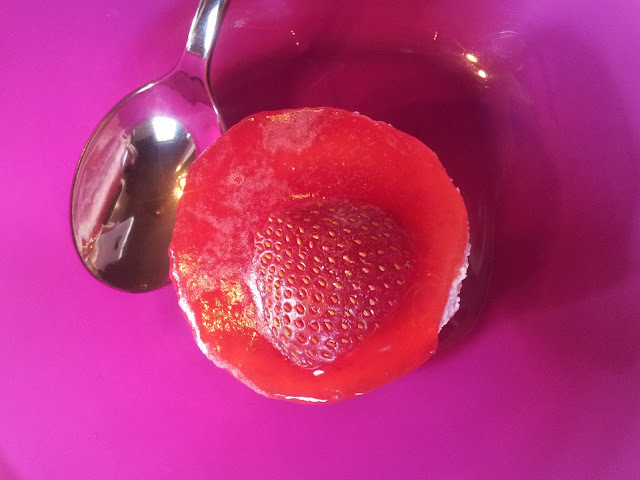 The base was crunchy, the cheesecake light and the jelly topping super sweet. 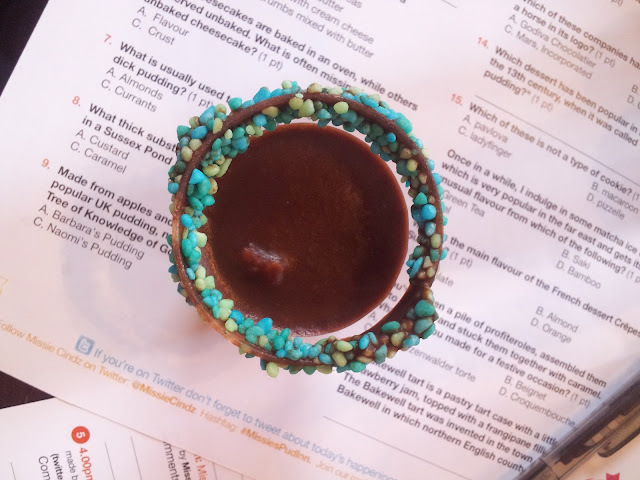 Our forth course was Cindy's creation - a cake shot consisting of a slated caramel base, a rich chocolate mousse type affair all concealing a little ball of cake in the middle. Topped off with sprinkles. 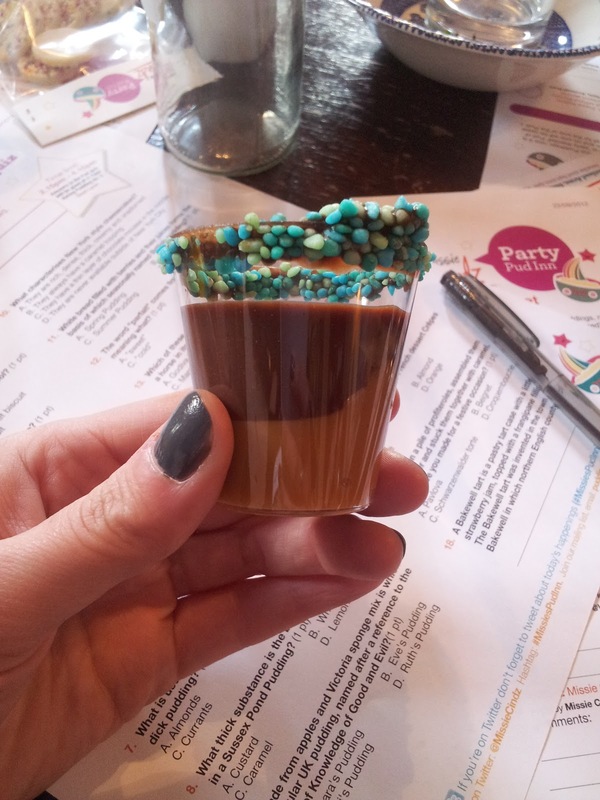 I think the caramel layer was my favourite! And our final dessert was an elderflower and apple jelly with blackberry and vanilla icecream. There was a lot of discussion at our table about our massive love of elderflower flavoured things - mostly elderflower and gin. Then there was a lot of discussion about our love of gin - out table loved GIN. But I digress this was maybe my least favourite of the puddings, but still delicious. Overall, an amazing way to spend an afternoon. A chance to meet new people, have a chat and most importantly taste some delicious puddings!